Today, well yesterday by now, was one fail of a day for me. I felt less than and in turn everything I attempted ended up being less than too. Just one of those days, you know? 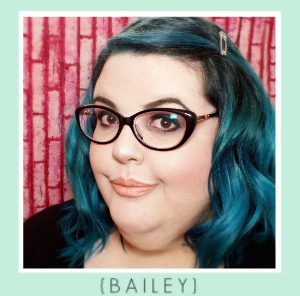 I had told myself I wouldn't even attempt blogging, but the Essence Bloom Me Up! Collection is just too cute. A quick little post wouldn't be too bad- how wrong could it go? If you're brave (kidding... maybe? 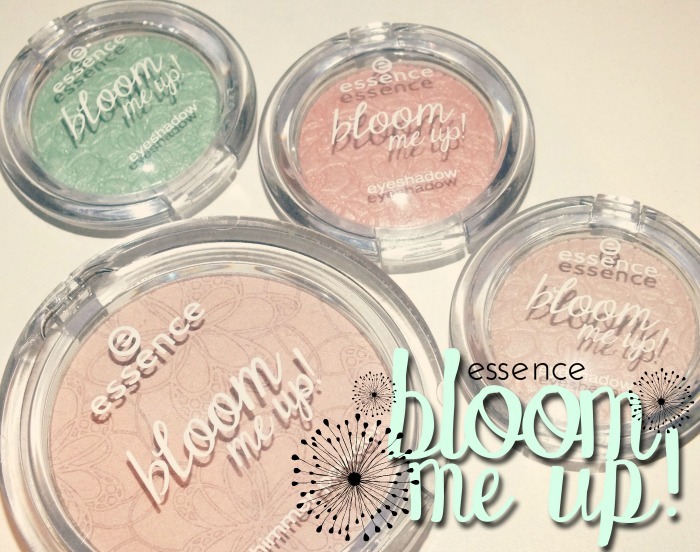 ), read on for a look at the Bloom Me Up! 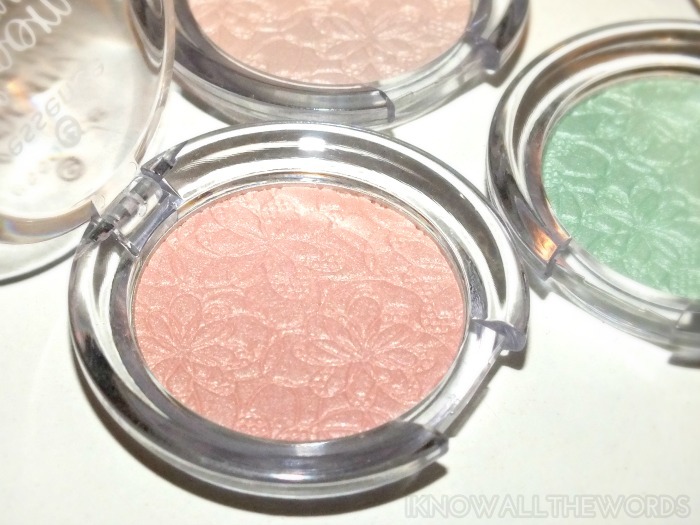 Mono Eyeshadows and Shimmer Powder. 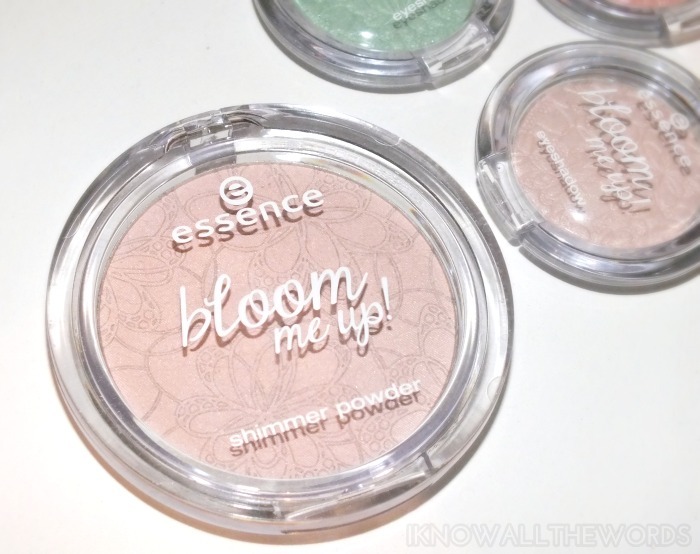 Essence Shimmer Powder in Rose It Up! 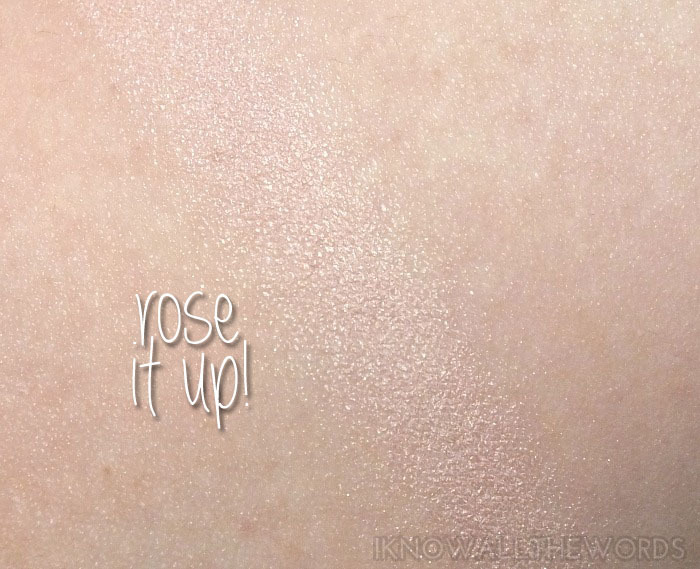 is a pale, pinky-beige shade in the pan, but once swatched shows some pale golden shimmer as well. I didn't know what to expect from a budget highlighter- okay, I'll be honest, I expected too much shimmer and large glitter pieces. I should have expected more from Essence by now, as this has no large pieces of anything, like, at all. 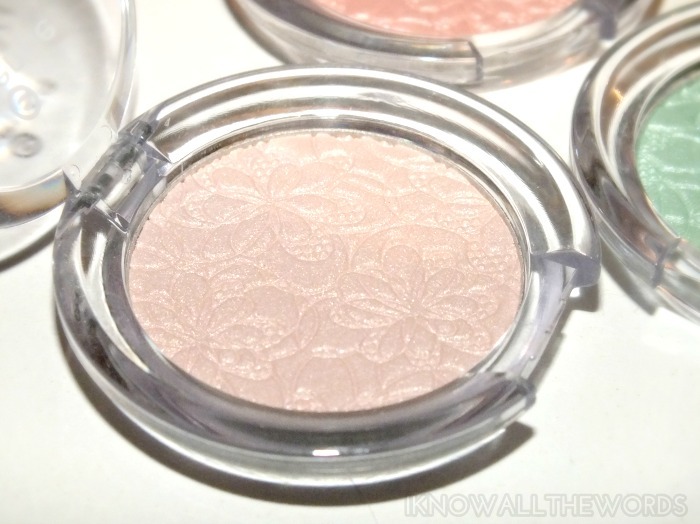 It feels a little powdery when swatched with fingers, but it doesn't translate as such on skin. 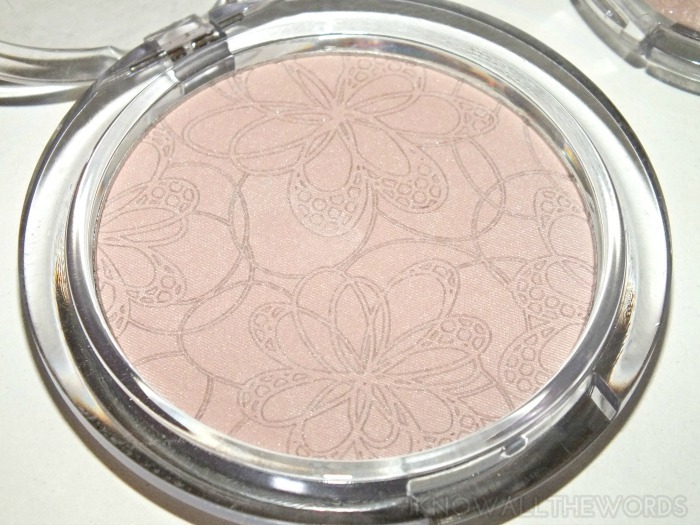 It does however, leave a soft, glowing highlight that is quite refined and gorgeous. Oh, and how cute is the floral pattern on it! 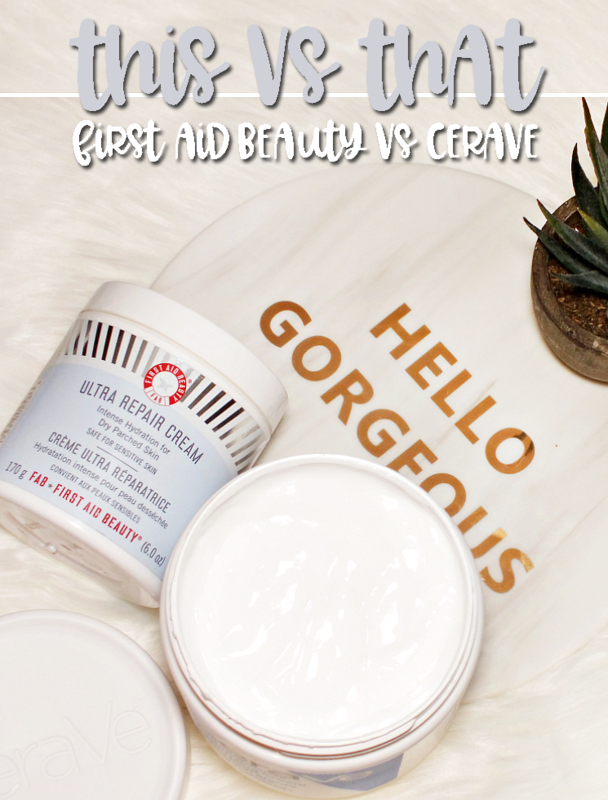 Love it, but it does get swept away once you use the product. 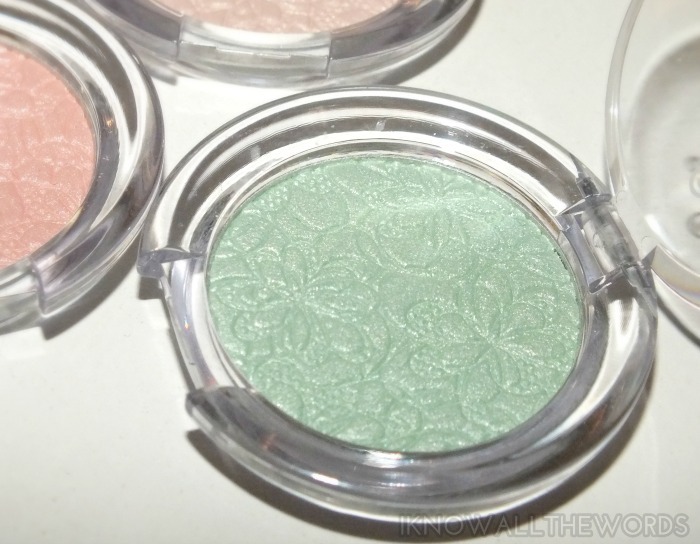 Also super cute, and floral-y are the Mono Eyeshadows. 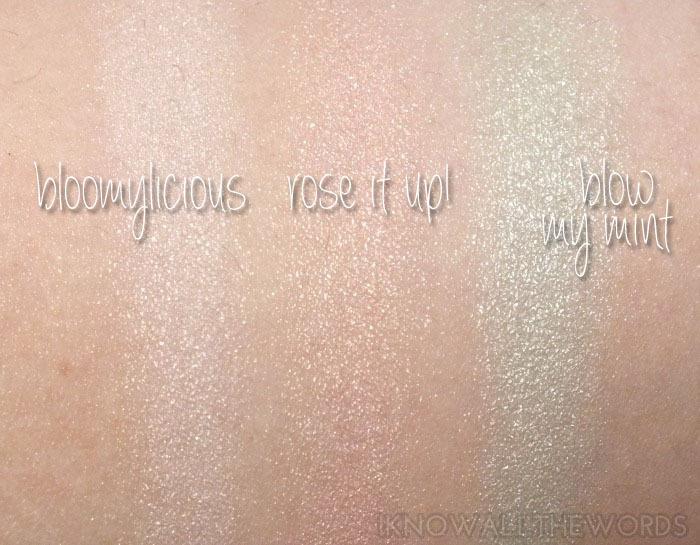 Bloomylicious is a pale pink shade with a hint of pale lavender sheen, Rose It Up is a pale pink with a golden sheen and Blow My Mint is a pale mint green with an icy sheen. 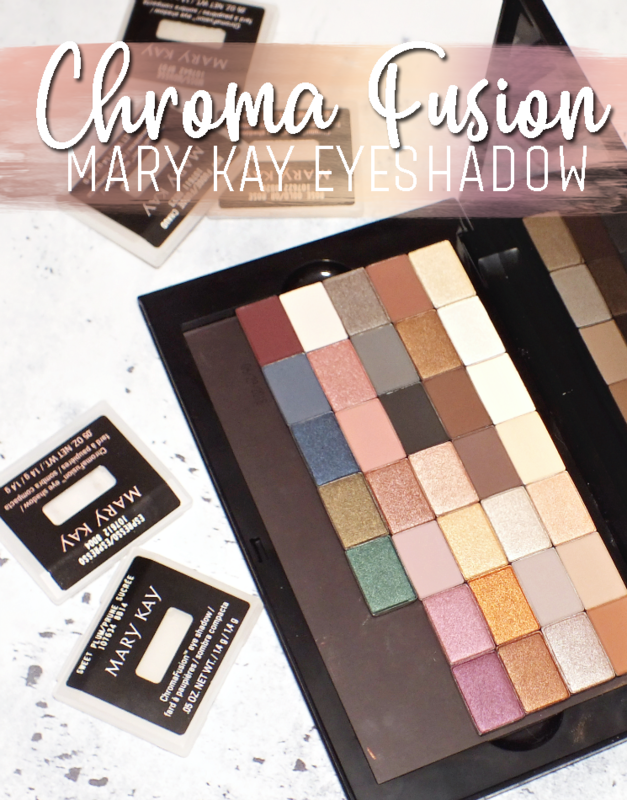 All of the shadows have decent pigmentation- which is hard to tell against my pale skin, but trust me- but are best as either a wash of colour or as a hightlight due to their light shades. The shimmer in them is quite refined and gives the colour much more complexity than I expected from these when I saw them in the pan. 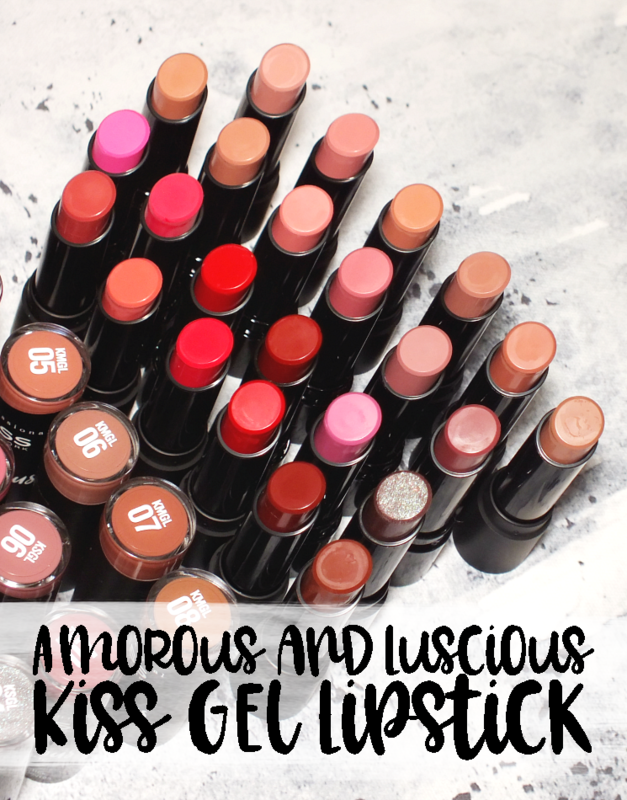 Overall, these are cute little items that could be fun additions to any makeup bag. 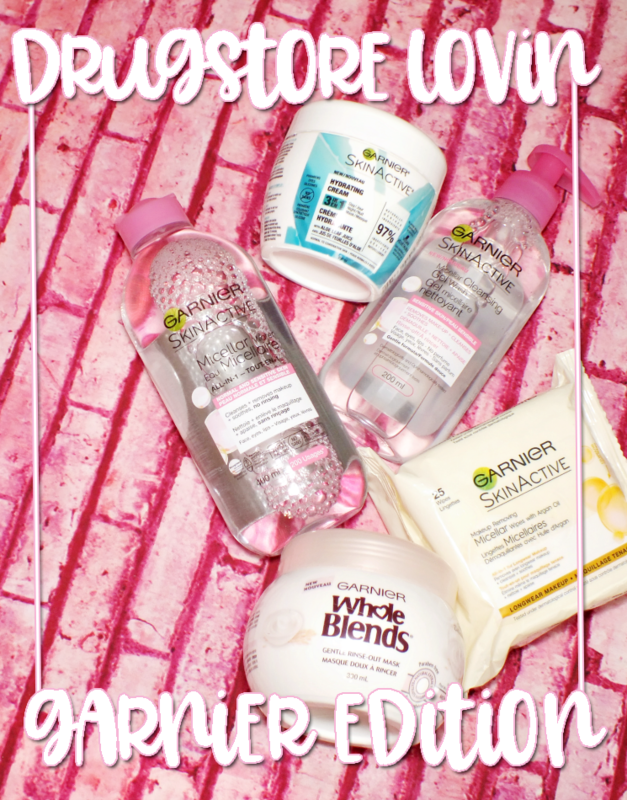 The Bloom Me Up! 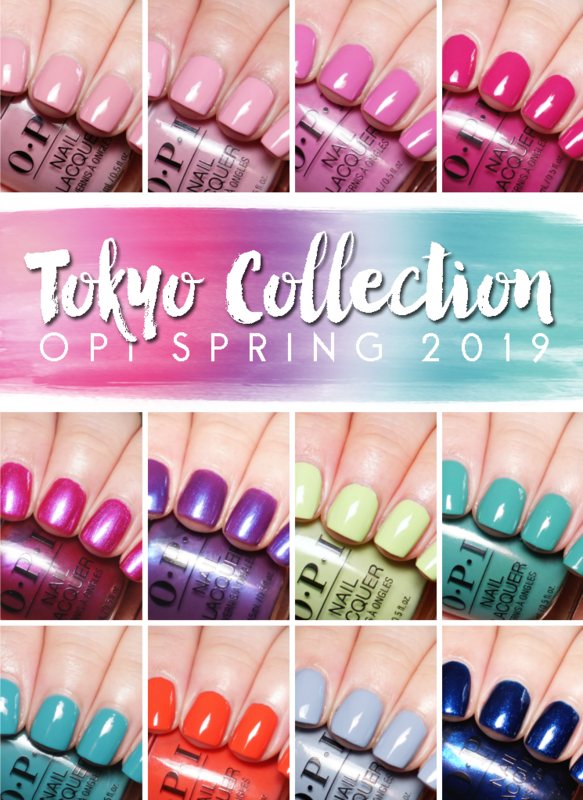 Collection also includes a an array of other Spring themed items- like super cute pastel nail polishes- that can be seen here. 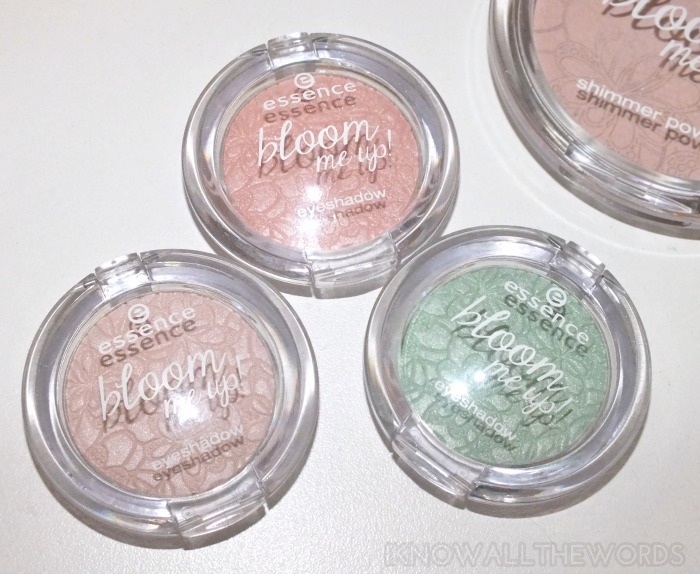 I don't know about you, but I have a hard time resisting Essence polishes when I see a display. 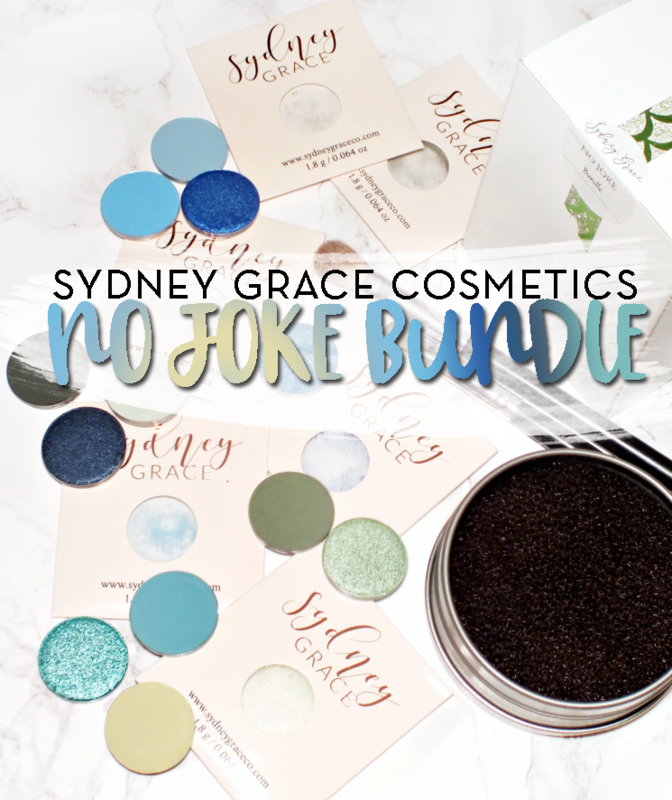 What do you think of these items- yay or nay? Thoughts?